If you've ever seen a documentary, chances are you've seen a film like Wild Horse, Wild Ride. It's a competition doc, much like Spellbound, or Mad Hot Ballroom, or Wordplay, wherein a group of people from disparate backgrounds come together to compete in an unusual competition. Unlike the aforementioned films, these people aren't in a spelling bee, or a dancing or crossword puzzle competition, they are part of the Extreme Mustang Makeover Challenge, an annual gathering of horse trainers that prepares newly captured wild horses for adoption. Every year the United States government rounds up thousands of wild mustangs, and every year 100 people are chosen to compete. They are given 100 days to turn a wild horse that has never been touched by a human into a fully trained show horse ready for adoption into a new home. It is a grueling, often dangerous challenge that will push both man and horse to the limit. Sadly, the film itself doesn't convey any of that energy. Alex Dawson and Greg Gricus's debut film follows six different teams on the way to the challenge, but it lacks the urgency one would expect from a film about training wild horses. The characters come from a wide variety of backgrounds, there are the teenage brothers, the cowgirl with attitude, the old cowhand, the Navajo father and son, but as the film spends so much time chronicling their backgrounds the actual horse training seems to take a back seat. It is important to get to know your protagonists, yes, to know who you're rooting for and why. But if the goal of a documentary is to illuminate the audience to a world we never knew existed (as is the goal of any good documentary), then Wild Horse, Wild Ride never quite measures up. It is beautifully filmed, and agreeable enough to be mildly entertaining. But it never really delves very deep into its subject. It never makes it past the "oh, that's interesting" phase. 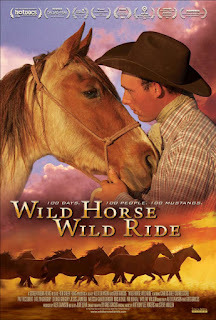 Unlike Cindy Meehl's Buck, Wild Horse, Wild Ride is more of a surface film, a feel-good "look at the pretty horses" diversion that never really achieves any kind of emotional resonance or suspense of any kind. Especially during the actual competition. With a little more narrative structure there is certainly a compelling subject here. But there is no sense of urgency, no immediacy to keep it going. It just is. And in a movie about wild horses in a breakneck competition, that is a fatal flaw indeed. 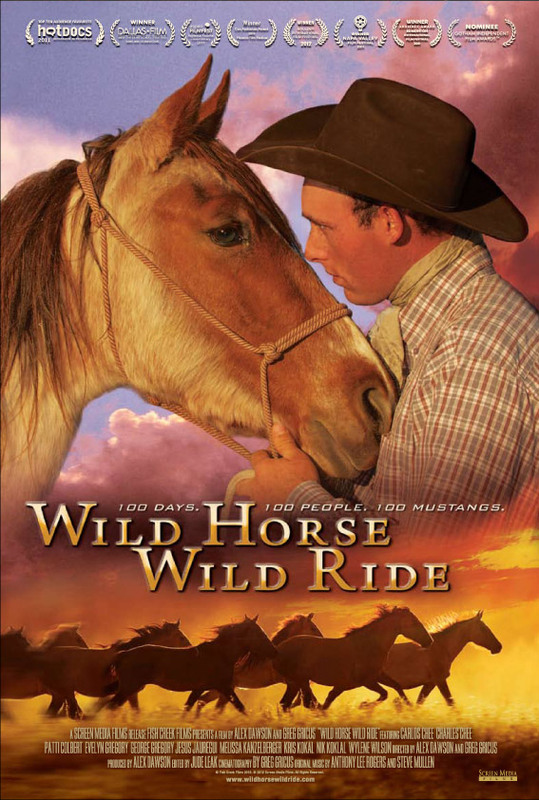 WILD HORSE, WILD RIDE | Directed by Alex Dawson, Greg Gricus | Not rated | Now playing in select cities.